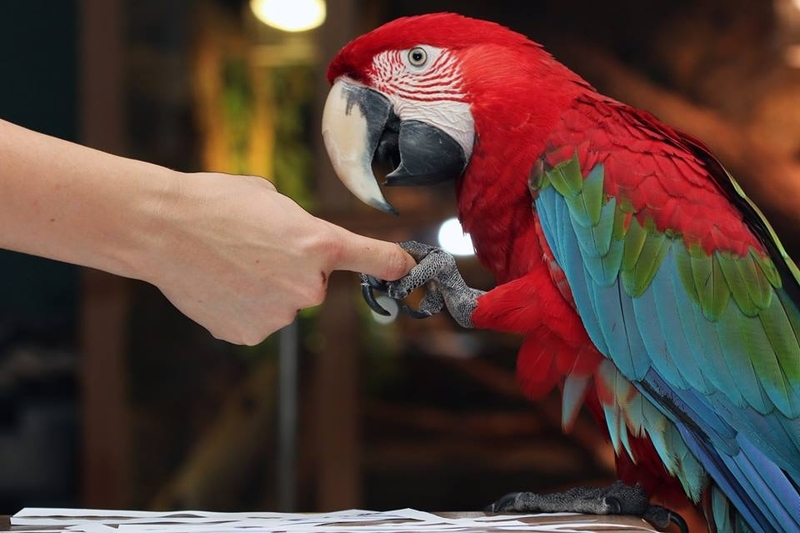 When you call your parrot step up on your finger , it will easier for you to teach them how to wave . 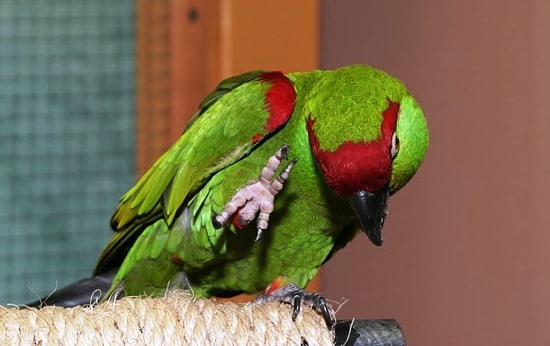 Move your finger close to your bird and say “Hi” or ” step up ” reflexively he/she will pick up 1 foot to step on your finger , immediately clicking “click” and give them bonus . The stop action aim to climb is for parrot to understand only need to pick up one foot is being rewarded. Continue to repeat the exercise and step by step your parrot will understand that just only need to pick up 1 foot , they will get bonus . Day by day , put hands slowly away from their feet until there is no need to hold your hand up in front of the bird , just only say “Hi” –> pick up 1 food , clicking ” click ” –> Bonus . Put your finger in front up the bird ,Say ” Shake hand ” , reflexively they will pick up their foot and you need to hold their foot then clicking “click”–> give them bonus. Continue the action until they understand the situation (noting that when you teach Parrot greeting with their left foot, you must teach shake hand with his right foot to avoid confusion between the two exercises).